"Dear Dee Ann, May your smile keep shining in all of..."
"My Condolences to the family of Dee Thompson, I am sorry..."
SOLON - On Monday, Feb. 04, 2019 the stars got a little brighter, Dee Ann Thompson, 60, of Solon passed away unexpectedly at her home in Solon. She was born Oct. 15, 1958 to Thornton Thompson and Beverly Dubay (Sinclair), she was raised by James and Beverly Haley of Roque Bluffs. 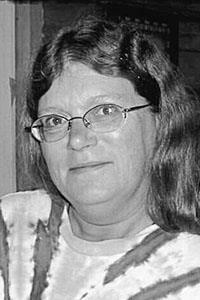 She was educated in the Machias area schools. Dee enjoyed; knitting, crocheting, making soaps and salves, tinctures and various herbal products, under her business name of Thompson's Herbals. She is survived by her daughter, Heidi Kimball and partner Noah Weeks, her son, Dylan Alley and his partner Abigal Lakeman as well as her daughter Hilary Kimball White and her husband Chad White; a very special brother, Tom Thompson; her grandchildren: Sophie, Caleb, and Ross White, and Lydia Alley. Dee touched many lives.